“The Child is father of the Man.” William Wordsworth wrote that in 1802, noting with quiet satisfaction how simple joys like gazing upon a rainbow will last well into adulthood. Alas, the dark side is true as well. Hurts and abuse suffered in childhood can still cripple adults many decades later. A broken Child can be father of a broken Man. One of the most important jobs parents have is helping children to believe that they are lovable. Loving parents affirm a child’s worth. They not only forgive children for their mistakes and misbehaviors; they teach the children to learn to forgive themselves. A child who emerges from childhood not feeling loved may well believe that she is unlovable. That horrible fear will then lead her later in life to interpret the words and actions of others in the worst possible way, and she will find confirmation of that fear. She may find rejection everywhere. Restoring one’s confidence of personal worth starts at the cross of Christ. There on Calvary is unmistakable evidence that God thinks we are precious, worth saving, and valuable enough to ask his Son to become human like us, suffer because of us, die for us, all so he can take us to heaven to live with us. No one can say, “Nobody loves me, not even God,” because “God so loved the world that he gave his one and only Son” (John 3:16). Harness the power of the Lord’s Prayer! 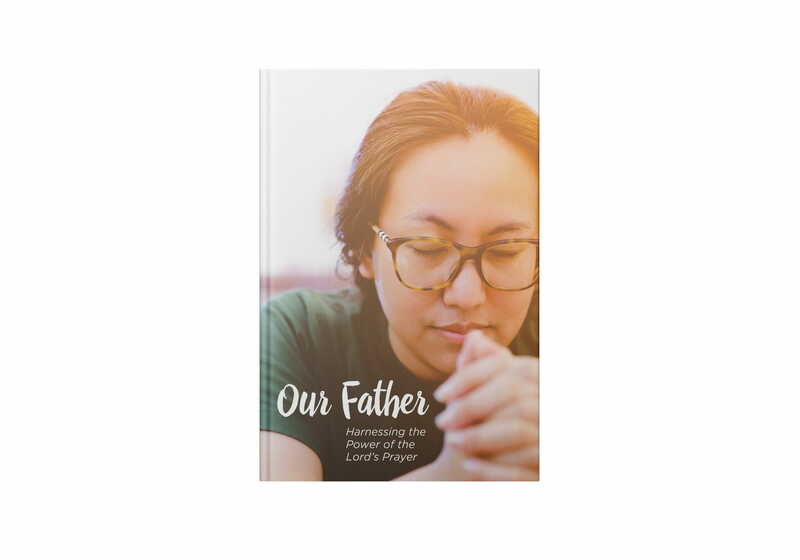 Our Father is a small book with big insights. It gives you a behind-the-scenes look at the very meaning of the Lord’s Prayer. With each phrase devotionally unpacked, you’ll be more than inspired. You’ll be empowered!